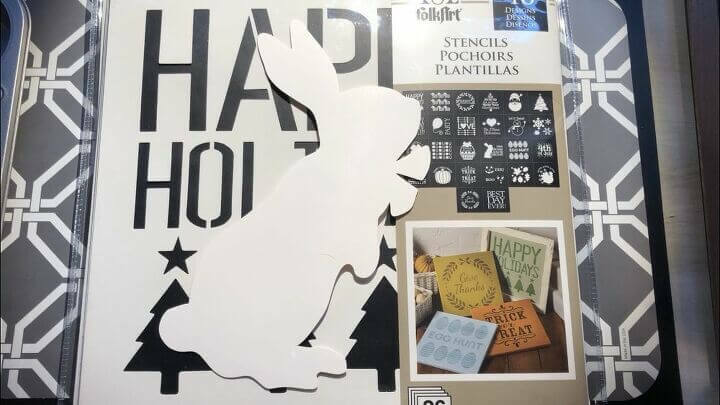 After creating my White Board and Stencil Seasonal Sign, I had saved the bunny cutout and created this easy spring bunny silhouette picture. I found this chalkboard at Target. It was originally in the dollar section but was on clearance. 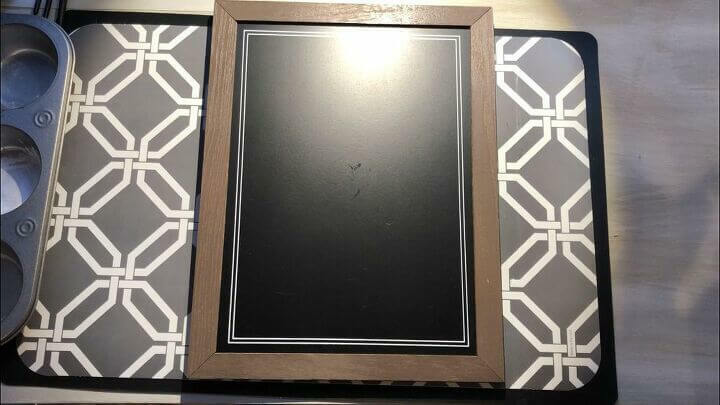 You could alternatively use a picture frame or chalkboard from the dollar store. 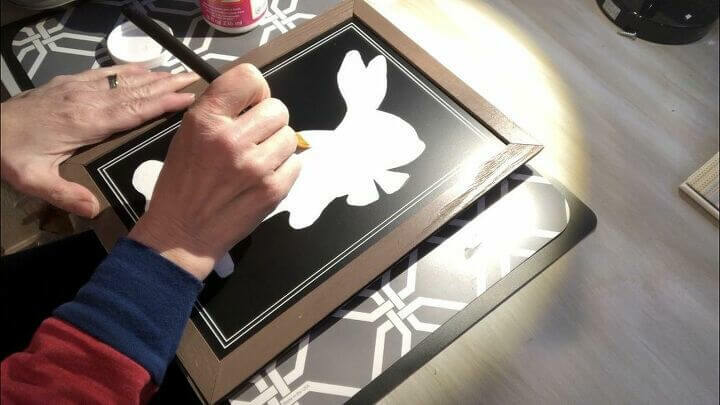 I had these Plaid Folk Art Holiday Stencils, and I recently used one of the spring stencils. 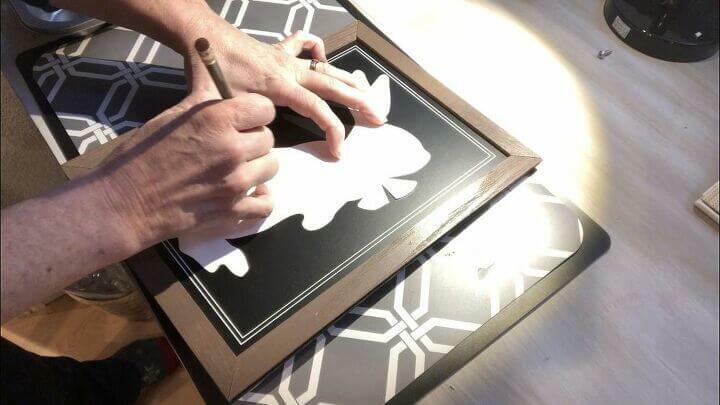 This bunny was punched out of the stencil and I held onto it as I knew it would come in handy for something else. 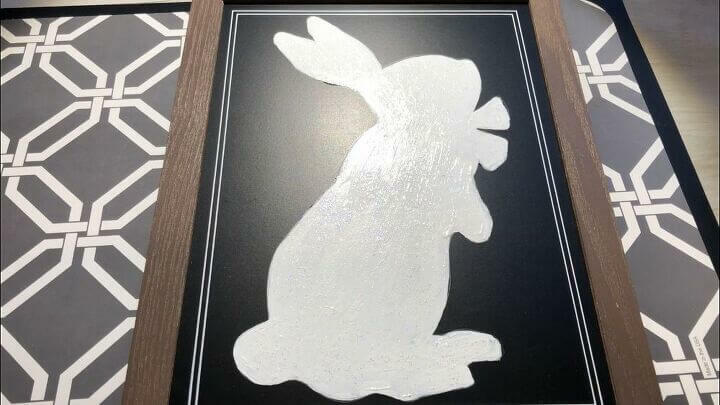 I placed the bunny on the chalkboard and traced it with a pencil. 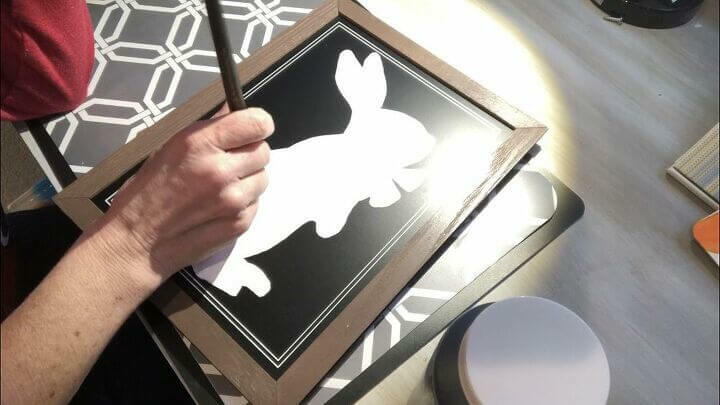 I removed the bunny, and painted the bunny with Folk Art Home Decor Chalk Paint in white. It took 2 coats and I let it dry between each coat. 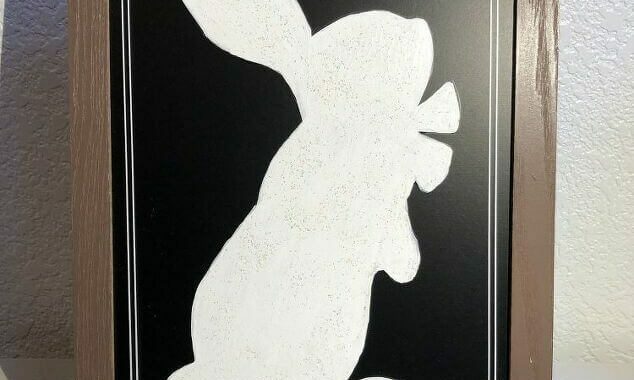 After the paint dried completely I painted over the bunny with Sparkle Mod Podge. The sparkle is amazing in person, and I let that dry completely. 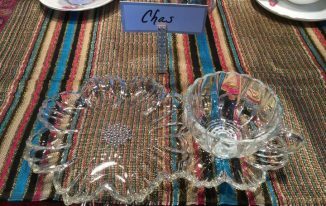 I love how easy and inexpensive this little sign was to make. Oh my gosh! So adorable and easy to do. 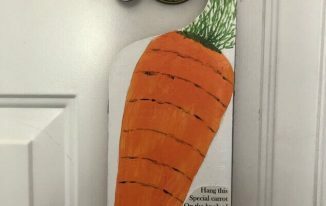 What a fun idea for the Easter season! Thank you so much Linda and thanks for a wonderful party. 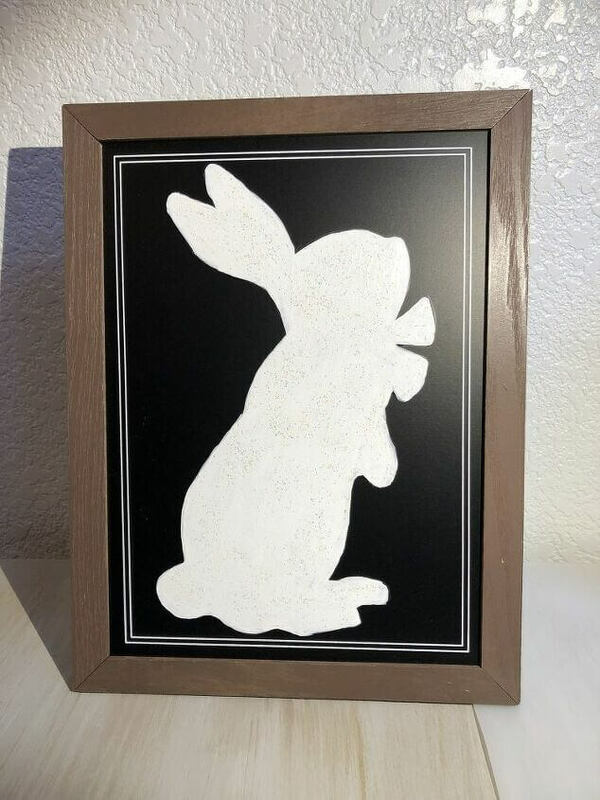 Your bunny sign turned out really cute. 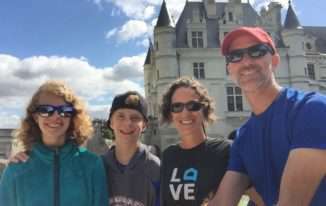 Love how easy it is. Found you on Blogger’s Pit Stop Link Party. Thank you Candy, and thanks for stopping by. 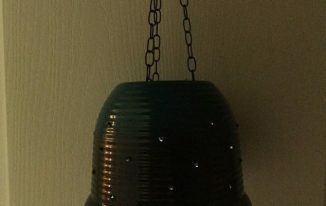 Lovely and simple craft idea! Thanks Marilyn, hope you have a great week.